New technology with direct drive: Quiet and vibration-free. Made in Germany. During milling operation the spindle sleeve may be clamped with a T-screw. 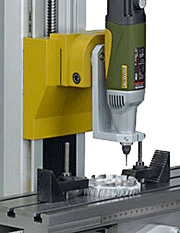 With variable speed pre-selection from 200 - 4,000rpm and high precision (accuracy 0.05mm). With digital speed indication. The sophisticated control via rotor position and speed sensors guarantees high torque for use of large milling cutters in the lower speed range. Solid column with dovetail guides. Milling head can be rotated to the left and right by 90° (with graduation). The clampable spindle sleeve is prepared for mounting of the fine feed adapter NO 24 254. Tool holder using multiple range collets type ER 20: One each of 6 - 8 - 10 and 12mm are included. 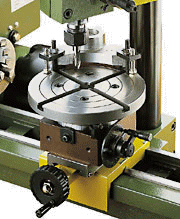 Height adjustment of milling head via hand wheel. Solid plane-milled steel compound table with 3 continuous MICROMOT standard T-slots (12 x 6 x 5mm). All 3 hand wheels with graduated scale ring (1 rev. = 2mm). 230V. 400W. 50/60Hz. Spindle speeds 200 - 4,000rpm. Throat 125mm. Sleeve stroke 30mm. Column 120 x 100 x 430mm. Table 400 x 125mm. Transverse range vertical (Z-axis) 220mm, transverse (X-axis) 310mm, depth (Y-axis) 100mm. Dimensions: H = 750mm, W = 550mm, D = 550mm. Weight approx. 47kg. Clamping jaws, miller and work piece are not included in the scope of delivery. 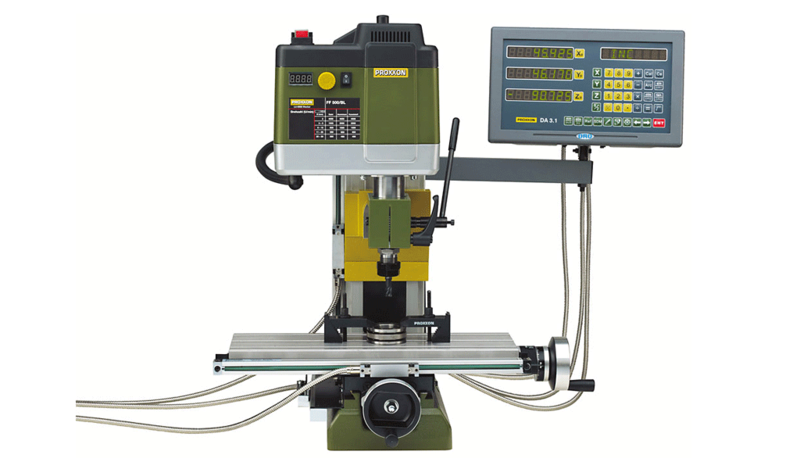 The miller FF 500/BL is also available as "CNC-ready" version (NO 24 364): With recirculating ball spindles and powerful step motors on all 3 axes, and also as full CNC version (NO 24 360) with control unit and user-friendly WINDOWS®-compatible software. 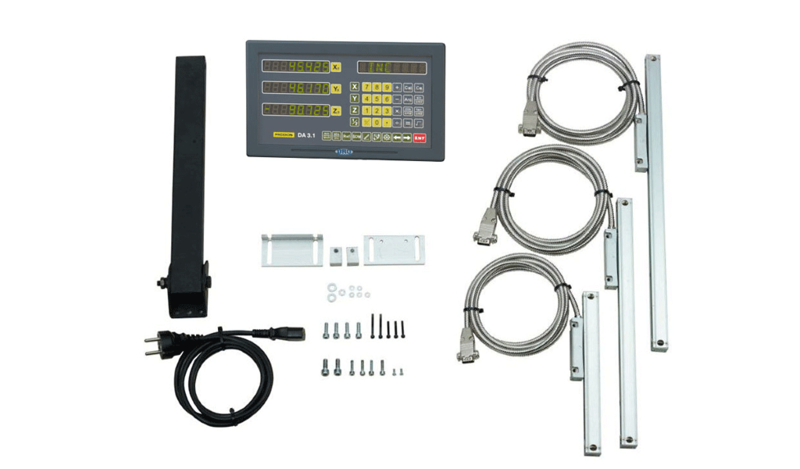 See photo of mounting kit for full contents (click to enlarge). 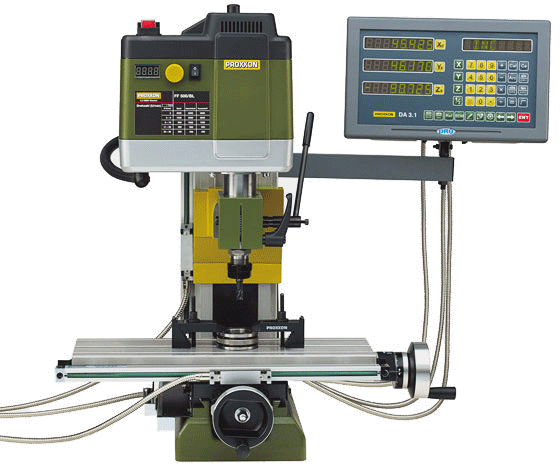 For use with high-speed MICROMOT rotary tools in combination with the millers FF 500/BL and FF 500/BL-CNC. 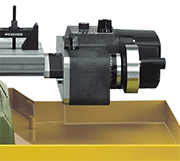 The standard milling head is exchanged for the adapter in just a few steps. Our 20mm collar enables to fasten all appliances of the MICROMOT 60 series, the MICROMOT precision drill/grinder FBS 240/E and the MICROMOT professional drill/grinder IBS/E. Especially for applications that require high speeds for small milling cutters (e.g. 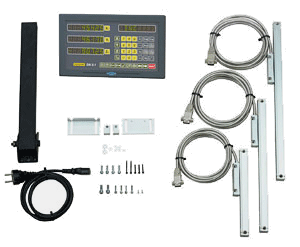 milling electronic boards), but also for micro drilling. Complete with fastening screws. The professional drill/grinder IBS/E depicted here is not included. Made of 1.5mm thick sheet steel, powder-coated. Secure stand due to drill holes for fastening to a work surface (the use of steel sleeves keeps the tray tightly sealed). L 700mm, W 420mm, H 40mm. Suitable for FF 230, FF 400, FF 500, FF 500/CNC, FF 500 - ready for CNC, FF 500/BL, FF 500/BL-CNC and FF 500/BL-CNC-ready as well as for mill/drill unit BFB 2000 and compound table KT 150. Note: The milling machine depicted here is not included. Quick and easy to install. The clutch system enables feed via either the drill handle or the handwheel. The handwheel has 0.025 graduations and may be set to zero. 1 division = 0.05mm. For the X axis of the Miller FF 500/BL. Will also fit the predecessor compound table KT 400 and the Miller FF 400. Simple assembly: The unit is mounted to the compound table with two bolts and automatically drives the spindle of the X-axis. For manual operation the handwheel needs to be mounted on the spindle of the drive-axis. Balanced special DC motor with electronic speed control (full-wave electronics). Manual drive with freewheeling function and two speed levels: Stage 1 for common machining (20 - 75mm/min). 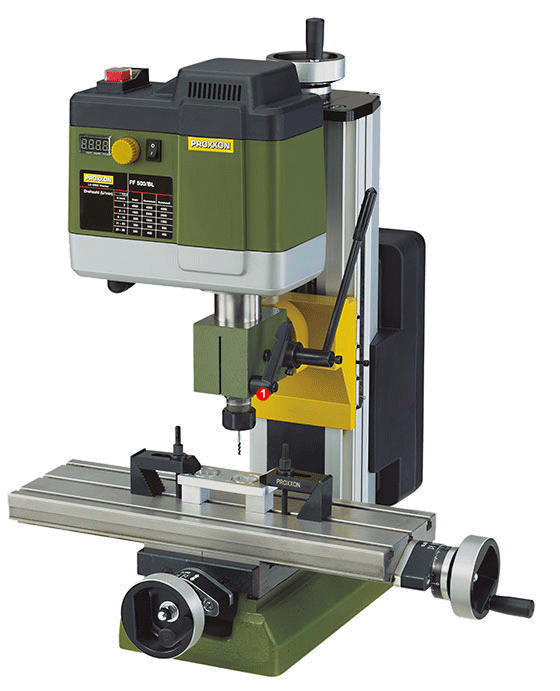 Stage 2: for machining at higher speed or quick adjustment of the X axis (90 – 260mm/min). Freewheeling function for manual operation by handwheel. 230V. 100W. 50/60Hz. Spindle speeds 10 - 130rpm. Dimensions: H 120, W 170, D 210mm. Weight 3.5kg. Insulated to Class 1. Gear tooth chuck (10mm). With adapter. For the miller FF 500/BL. But also for older versions of the Mill/drill head PF 400 (from production no. 401-10910) and of the miller FF 500 (from production no. 5648). High concentricity and repeat accuracy. May be reduced to 0.5mm below their nominal diameter (intermediate sizes not required). D = 21mm, L = 31.5mm. One each of 2.5 - 3 - 3.5 - 4 and 5mm are included. Supplied in a wooden box with sliding lid. Made of HSS steel. DIN 333 (type A) 60°. Complete set centre drills with sizes of 2 - 2.5 and 3.15mm. For adjusting work on drilling machines, lathes and milling machines. Made of high-alloy, hardened steel (58 - 62 HRC). Parallel accuracy 0.02mm. 2 each of 8 x 10, 15, 20, 25, 30, 35 and 40mm. Length 100mm. Packed in a wooden box.